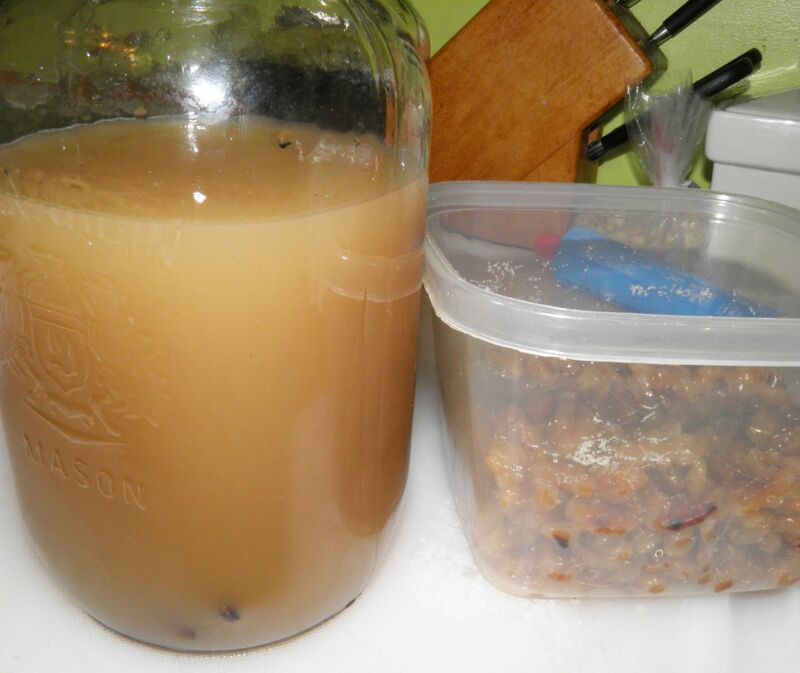 Devoid Of Culture And Indifferent To The Arts: Update 2: World, Welcome Baklava Liqueur! So I did it. Yes indeed. 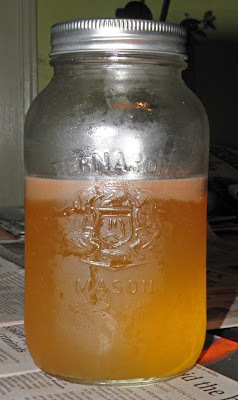 Last week (August 10, 2011) I posted a recipe for a liqueur that I was going to invent. It was to be a liqueur that would take the flavours of that quintessential Middle Eastern dessert Baklava and translate them into booze. The initial straining, before the vodka was added. I had my doubts to be honest with you. I have been reading about nut-based liqueurs for quite some time and they all seemed quite difficult. You must extract the essence of the nuts. Walnut liqueur even called for "green walnuts" which we cannot get in Nova Scotia. So I was a little apprehensive. Well I’m here to tell you, infusing our regular grocery store walnuts in the method below worked. Or at least it did to the extent that was needed. This liqueur is only hours old, so it still has to go through the one week aging process. I find the extra week takes the “edge” off the vodka and mellows everything out. In my original post I wasn’t sure about the infusion time. I stated 1-2 weeks because I wasn’t sure how the nuts would react. Would they emit enough flavour in one week? Would the cinnamon and vanilla be dominant, or too mellow? All kinds of variables were in the air. walnuts are in the container at right. They were pretty tasty too. It’s cloudy due to the honey. I also didn’t make enough of it. I’ll have this sipped away in no time. So that’s two drawbacks. This stuff is great to sip, even right now before aging. We’ll see if any’s left in a week. Not sure what kind of drink this would be good in. 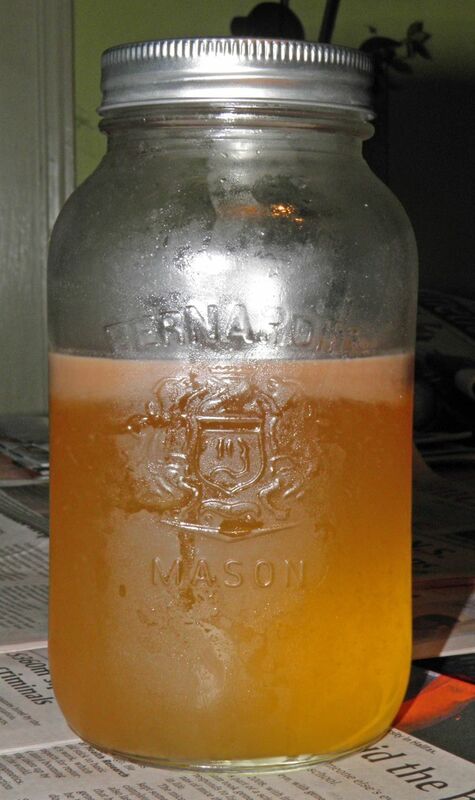 If anyone wants to make this liqueur and try it please come back and post. The following is the final recipe and method I used. It's sightly different from the post from last week. Next on the hit list? Hazelnuts!!! Place the walnut pieces in a frying pan and gently toast until they become fragrant. Do not burn. Add the toasted nuts to a saucepan with the cinnamon, vanilla, honey and water. Stir well and bring to a gentle simmer. Let simmer for 2-3 minutes to begin to release the flavours of the nuts and spices. Remove from the heat and let cool. Place in a container and refrigerate for 1-2 weeks. Agitate periodically. I steeped for 1 week and the cinnamon was giving it some heat already. After the infusion period, strain out the solids through a sieve into a large measuring cup. Add just enough vodka to double the volume. The ratio you want is 50/50. Then strain the liqueur again through a fine cloth*. Repeat several times. 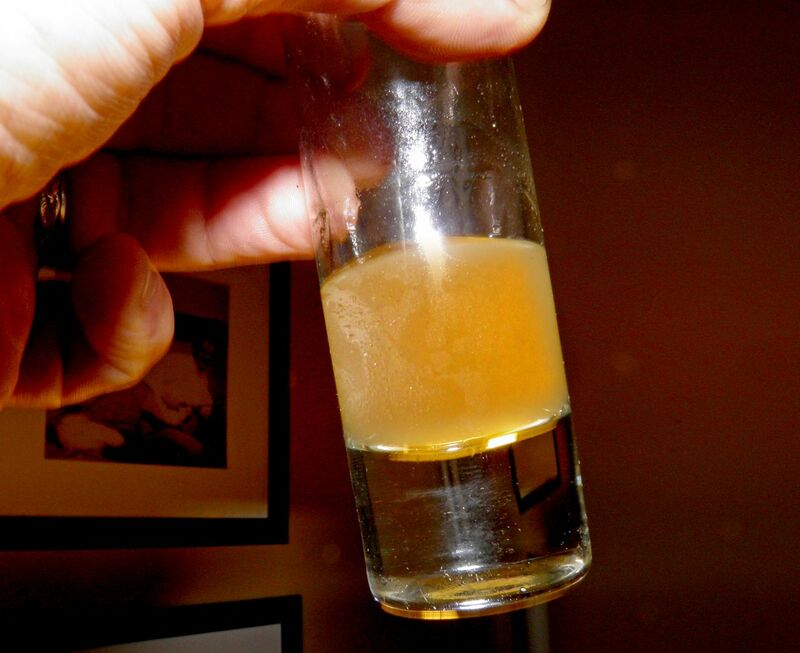 The liqueur won’t get clear because of the honey but you want to remove as much sediment as possible. Let age for at least 1 week before serving, if you can wait. I cannot. 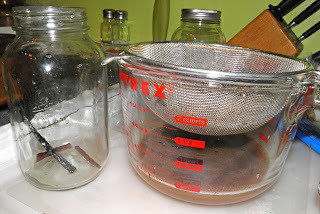 * I found that by adding the vodka to the infusion and then straining it was less viscous and went through the cloth easier.